Let’s face some home truths, be frank and honest with ourselves when trade unions put some questions to UKIP members and their leadership what are their policies regards to a well-established trade unions and trade movement at large most of UKIP membership and their great leader are clueless on what their basic policies are on trade unions rights let alone to give a position on it. Since the formation of UKIP all they are concerned about is out of European Parliament, stopping immigrants entering the UK and they want a referendum now. Err hello welcome to Cloud coo land they seem to forget it was the trade unions who fought tooth and nail to secure trade union rights to be recognised both in Europe and UK via Labour MEPs which a Labour Government has delivered and many trade unions members have benefited so why would the trade unions throw in the towel and embrace UKIP it makes no sense. All the trade unions who are affiliated to the TUC have concurred that UKIP has nothing to offer to the trade union membership. If anything they foresaw that UKIP would rather be bed partners with the conservatives to help them to implement Transatlantic Trade and Investment Partnership (TTIP) /Transatlantic Free Trade Agreement (TAFTA) which will see the end of our NHS and Local Government under the guise of Jaws of Doom to put it in a nutshell which many UKIP members brags about today as this article goes to print. This what some UKIP members had to say about the general policy for UKIP about the trades unions, or even if it has a policy concerning that matter. As a true libertarian party, UKIP would have to accept trade union membership of it’s supporters. As a Kipper myself, I have nothing to hide, and can confirm that I am a fully paid up member of a large Trade Union, and have been for many years. I personally see that they do ‘mainly’ good things to represent workers and help improve working conditions and help make the workplace safe, as well as negotiating pay deals and work benefits. Although I do not support wild cat strikes like they used to have in the 70s, or indeed the national ‘general strike’ that was called for by the big union bosses the other week. the other UKIP member said I am a fully paid up member of UKIP and was a Candidate on Thursday. I am not currently a member of a trade union but was for several years with a union which I joined when I worked for BT. Unions are important, but we would be wise to avoid being ruled by them. We certainly need to avoid, like labour, being dependant on them. Unions have great power and when used wisely it can benefit everyone, when union leaders will not compromise or accept certain arguments, life can get pretty difficult. They key is to be honest with them and for them to be honest with whomsoever they are representing and or negotiating with. No party can guarantee that a particular policy will be agreed with by the Unions, but if the policy is correct, then the argument should be made and those unhappy either convinced about them, or allowed to make their argument and in some cases seek a compromise. There will be cases when compromise cannot be reached, if this is so, then the reason for that lack of compromise should be clear cut and at the end of the day justified. 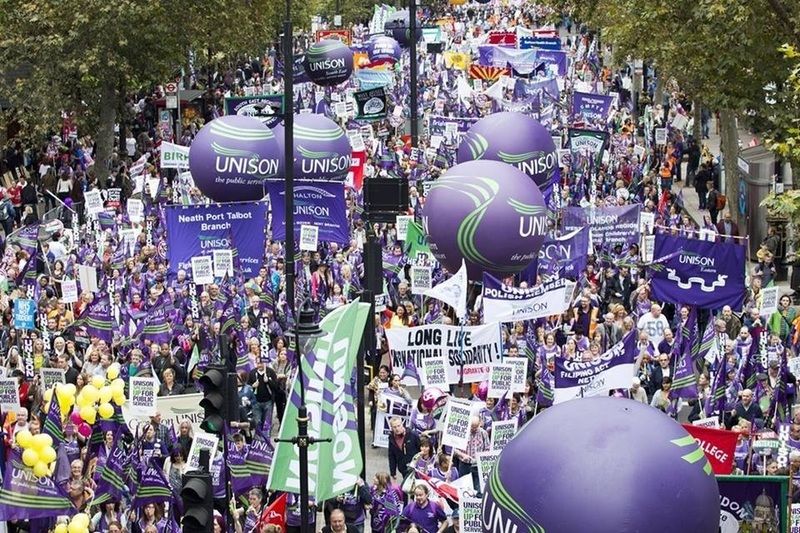 Trade union campaigners have launched a drive against the far-right UK Independence Party (UKIP) just before he European elections. 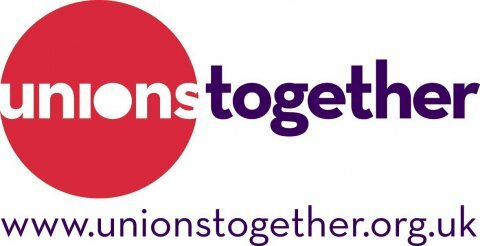 The Unions Together campaign will aim to highlight that as well as Ukip’s divisive immigration policies, the party also stands for a series of reactionary reforms, supporting the rollback of basic workers’ rights such as maternity leave, sick pay and paid holidays. The announcement comes a day after a protester was arrested for throwing an egg at Ukip leader Nigel Farage. 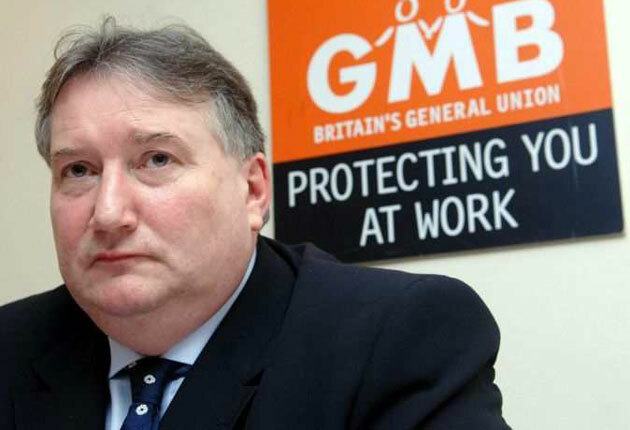 “Ukip will take Britain’s working people back to the dark ages, scrapping basic rights we fought hard for and relied upon by the 31 million workers in this country,” said GMB general secretary Paul Kenny. “This is a chance to show that Ukip’s agenda, specially its small-business manifesto, is far from being in touch with Britain’s common people. “It’s a brilliant idea,” said Unite community activist Bernadette Horton about the campaign. “People only see the immigration issue and are blind to all the other things that Ukip wants to do. A Unions Together van will be spreading the message “Don’t let Ukip steal what matters to you” across south-east England over the bank holiday weekend. In those heady days after 1997, Labour put into action many of the policies devised in opposition. 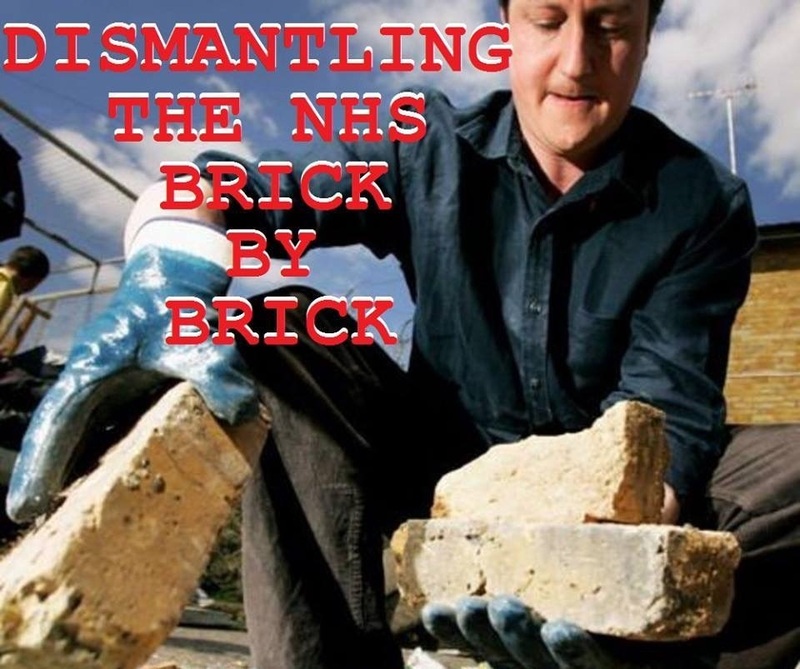 We started to improve the NHS (do you remember how people used to die on the waiting list for a heart op?). We brought in the minimum wage. We set up Sure Start centres for young children and Connexions for older ones. And we brought human rights home by passing the Human Rights Act. The European Convention on Human Rights was not devised by foreigners in a far off land. The UK was fully involved in its development and a Conservative MP, Sir David Maxwell-Fyfe, oversaw the drafting. We signed the Convention over 60 years ago. But asserting your rights by going to the European Court of Human Rights could be a cumbersome process, with cases at home backed up and waiting for the decision. So, in consultation with lawyers and judges, Labour passed the Human Rights Act. 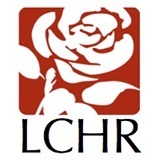 We all benefit from the Human Rights Act. The Countryside Alliance used the Human Rights Act to challenge the ban on fox hunting. Elderly couples can no longer be separated by care homes hat used to be common practice. Human rights have been used to protect our privacy; to confirm that we cannot be tried and convicted without knowing the evidence against us; to stop innocent people from having their DNA stored indefinitely; to prevent discrimination. This Tory/LibDem government and with the possibility of a UKIP/Conservative coalition has not been good at protecting civil liberties: from cuts to civil legal aid, changes to judicial review and the ‘gagging act’ we have gone backwards on a number of fronts. And now the Tories are promising to repeal the Human Rights Act and to pull out of the Convention if they stay in government next year. We should be proud of our Human Rights Act. It is the mark of a civilised democracy. Of course, some decisions might not be popular. Some decisions might criticise the government of the day. But that’s really the point. We all benefit when government is more accountable, when we are all recognised as being equal and possessing inherent human rights. I’m not surprised there have been two defections from two Conservatives Member of Parliament to UKIP and five members of Conservatives who were elected in 2010 will be standing down as one of them will go onto challenge the leadership in the near future. This may be claptrap to some quarters of UKIP members rest assure it’s in the pipeline. Thank you Congress. It’s an honour to address you for the first time today. Let me begin by paying tribute to your General Secretary, Frances, who is doing a fantastic job leading this movement. Keeping us on our toes. And fighting for social justice in this country. Today I’d like to speak about the importance of this movement and our shared mission to build a new economy. But as my time is limited, I won’t be able to cover all I want to say but will be happy to deal with anything I don’t address in the Q&A. 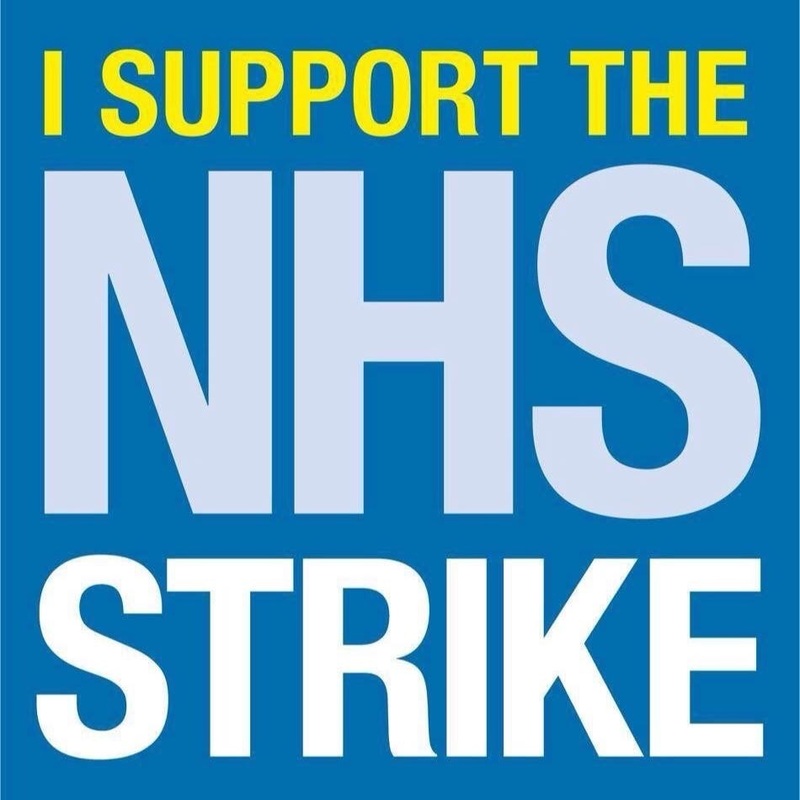 So to start with – a simple statement: I am a proud trade union member. Out of choice and out of conviction. I don’t come from a family with a history of labour trade union activism. But my Dad – a self made man – always supported this movement and voted Labour Let me tell you why. He arrived in this country, in this very City in fact – at Liverpool Docks – in the mid-1960s, after a long boat journey from Nigeria. It took some courage. Not just because he was leaving everything he knew, but also because he couldn’t swim – if the ship went down, he was going to go with it. And he was sea sick for the entire journey. But, carrying only a battered suitcase, he made it. He came here – like so many immigrants – to create a better life for himself and to make a contribution. But, like every other person of colour in 1960s Britain, he faced rampant discrimination. Remember the famous signs on hostel windows: “no Irish, no blacks, no dogs”. Too easily, people forget the impact this movement has had. Sometimes in Westminster, you just shake your head at some of the rubbish you have to sit through. Government Members, week after week, smearing and denigrating our trade unions. Just think: they’ve had this big push to appoint more women ministers – which is great, yet they seem to forget that these very same Conservative women have benefitted from the right to equal pay, equal rights and all the other social reforms that this movement worked so tirelessly to introduce. So they attack the very people who helped remove the barriers to their progress. It’s a disgrace and it must stop. Maybe they think it’s pro-business to attack you. But just as I am clear that you can’t be pro-worker if you don’t back the businesses that create decent jobs; you cannot be pro-business if you constantly attack the rights and representative organisations of the people who work in our businesses. Pro-worker, pro-business – that is the right approach. After all, many of the most successful companies in the FTSE100 are the ones that recognise the important role of trade unions and your members. And it’s an approach that’s going to be more important than ever in the future. As a movement, we’ve always worked to ensure the right balance of power between those who have and those who do not. That ideal endures. But – let’s face it – the context in which we seek to achieve social justice – to ensure people have good, fulfilling work – is changing. We’ve all seen the winds of change blowing through towns and communities across Britain. The emerging economies of the South and East are posing greater competition than ever to our firms and our workers. New technologies are transforming how business is done. Yes, creating new jobs, but also making many of the jobs people have done for generations disappear; and the new jobs are not always better jobs. And, the thing is, we cannot stop this change: we can’t stop the rise of international competition. We can’t stop the onward march of technology. Doing so through protectionist measures, for example, would be entirely counter-productive. But we can and we must shape these forces of change together to build the kinds of jobs and the better future we want for our children, our families, our communities. We must ensure our firms are the ones producing and creating those new technologies the world wants, enabling us to pay our way in the world, building an economy of good jobs and higher wages for all. And Congress, for this we need you. Too often, trade unions only come to prominence in the media when things reach crisis point: during difficult pay negotiations, when a plant is under threat, during a dispute. That essential role for trade unions will continue. And this approach is needed at the level of each industry sector too. It is essential trade unions are included and play an active part on different sector bodies in shaping the different industrial strategies we have. And Government must of course play its role in the implementation of a those industrial strategies across all departments, bringing employers and union representatives together to help forge that future. Resolutely backing those sectors where we have a competitive edge or might do in the future. That’s not happening right now. Look at the defence industry, where the Government abandoned UK firms at the start of this Parliament to buy kit off the shelf from the US. Look at renewables and the damage caused by their u-turn on Feed in Tariffs. Look at pharmaceuticals, where they were happy to waive through the takeover of our second biggest firm, AstraZeneca, by Pfizer, a firm with a record of intellectually asset stripping companies and cutting R&D investment. As Ed Miliband says, we can and must do better than this. And under Labour our long-term plan for growth with industrial strategy at its core – we call it “Agenda 2030” – will animate the whole of government, backing our businesses and those working within them. A strategic and strong pro-worker, pro-business agenda that has us all working together – employers, trade unions and government – to ensure the UK and all of our people succeed. It’s the only way we will rise to the challenge of building a new economy for this modern, global world. Now, the Conservatives don’t understand this: that you have to build an economy – not on the stress fractures of conflict – but on the firm foundations of collaboration. They see workers as a threat to be controlled, not as the inspiration for everything our companies achieve. They see unions as a brake on our nation’s success, not as partners in building the new shared and fair economy we need. They say we’re all in this together but their actions seek to divide and rule. And don’t even get me started on UKIP, who take this division to a whole new level. We can’t meet the challenges our nation faces by setting our communities against each other, by scapegoating and blaming. The rhetoric which seeps out of that party in respect of our fellow Europeans is not at all dissimilar from the rhetoric deployed against black and Asian people in times past. We will not stand for it. And that’s why when people argue that we’re all the same. 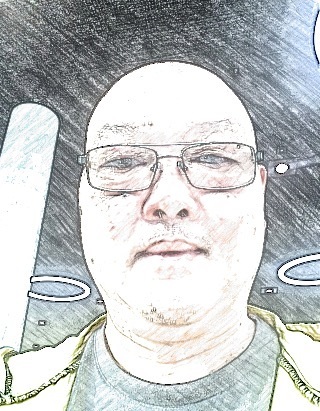 I am resolute in my view that we are not. 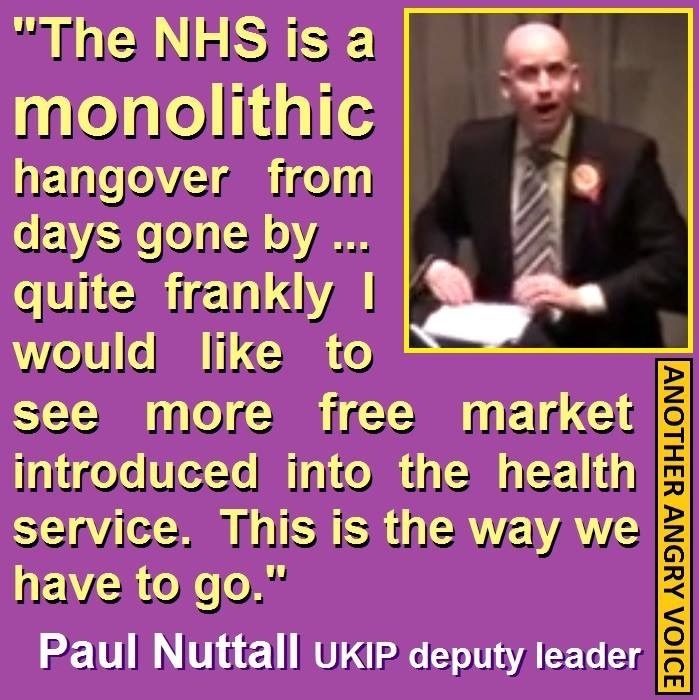 Because the Tory way, the UKIP way is not the Labour way of doing things. Labour is a political party built on the power of common endeavour, the value of collaboration, the importance of solidarity, respecting people’s rights and ensuring they have a voice. That’s why I’m proud we voted down the move by Tory MPs to abolish trade union facilities time in this Parliament. It’s why I’m proud we saw off the threat of Adrian Beecroft’s compensated no-fault dismissals. It’s why I’m proud we blocked the proposal by Vince Cable and his ministers to end the Equality & Human Rights Commission’s duty to promote equality. Above all it’s why I’m proud to say we will do what this Government has refused to: launch a full enquiry, held publically, into the inexcusable blacklisting of workers in the construction sector. Let me be clear. If am given the privilege of serving as Business Secretary in the next Labour Government we will deliver justice to those workers who lost their livelihoods and end blacklisting for once and for all. 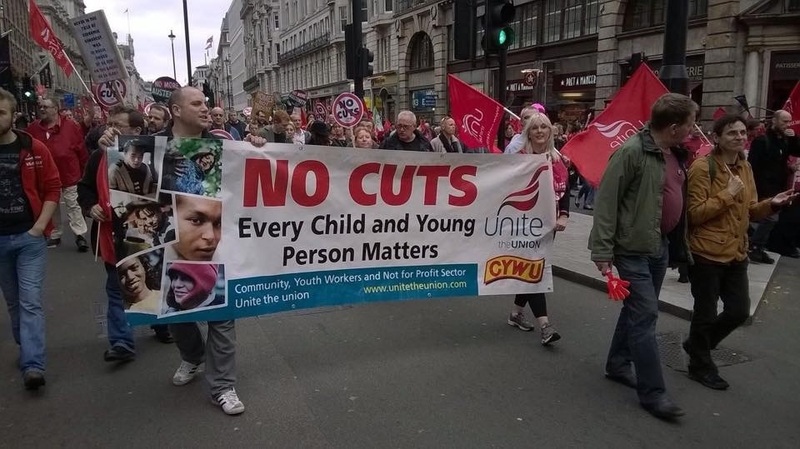 Labour beliefs – not just in words but, proudly, in our actions too. And in Government, you will see our beliefs in action too. We have fought to defend people’s rights and voice in opposition but these rights are only meaningful if you can get proper redress. The current employment tribunal system is unfair, unsustainable and has resulted in prohibitive costs locking people out of the justice they are entitled to. Affordability should not be a barrier to workplace justice. But it would be a mistake to simply return to the system of the past, where tribunals were so slow that meaningful justice was not available. So if we are elected the next Labour Government will abolish the current system, reform the employment tribunals and put in place a new system which ensures all workers have proper access to justice. Openness and respect. Rights and justice under a future Labour Government. It is this same drive for social justice that has driven our commitment to restoring the value of the national minimum wage, alongside increased fines and better enforcement, to incentivise employers to pay a living wage, to outlaw exploitative zero hours contracts. Because if you work hard – day in, day out – you shouldn’t have to live in poverty or have insecurity heaped upon you. And there is more. We will take action to ensure agency workers are properly protected and that there are no exemptions from equal treatment on pay including by ending the Swedish derogation from the Agency Regulations. We will extend the remit of the Gangmasters Licencing Authority. But all of this will only happen if a Labour Government is elected. And I should say: if you live in Scotland, the SNP would have you believe that social justice can be achieved by voting for separation. But when asked what measures in their White Paper redistribute money and power from those who have it and to those who do not, they have no answer because there are none. Instead they are committed to a further 3p reduction in corporation tax for the biggest and wealthiest companies. Congress, there is only one way to achieve better social justice in this United Kingdom and that is through this pro-worker pro-business agenda I have talked about which the election of a Labour Government will deliver not separation. To finish, I’d like to go back to the beginning. When my father arrived here in Liverpool, he was filled with hope and ambition. That’s what this country represented to him – and what it proved. Due to your work in protecting his rights, the infrastructure this country provided and his ability to see the opportunity in the world – he was able to make it. That simple story of hope, hard work, rights, opportunity and success is what we want for all of our people. That we can lead lives where tomorrow is better than today and we can give our children more than we had. Let’s work together – in solidarity – to make that happen. Congress continues to be deeply concerned at the effects of the government’s austerity agenda which has already resulted in over 13 million people living in poverty with around five million people still earning below the living wage (currently standing at £7.65 an hour). Congress condemns the fact that 10 per cent of our young people live with a level of social and economic deprivation that creates educational barriers which blight the life chances of a significant proportion of our next generation. Congress notes that, at a time of increasing poverty and austerity for the many, the UK is now the fourth richest nation in the world (GDP/capita) with the wealthiest 1,000 people in the UK currently worth over £518bn, an increase of 13 per cent since 2013. Congress also notes with concern that the recession and the increases in poverty and inequality which come in its wake have also led to an upsurge in racism and xenophobia in the UK and across the whole of Europe. 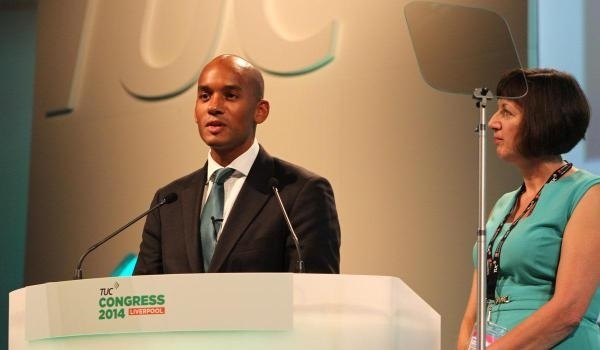 Congress notes with concern the advance of UKIP and other even more right-wing, xenophobic and outright racist parties in the 2014 European Parliamentary elections. Congress continues to reject the policies put forward by such organisations, including on immigration. Congress notes the deep disillusionment with mainstream politics revealed by the results of the 2014 elections. In particular, low turnout assisted UKIP to considerable gains. UKIP’s true agenda stands counter to the interests of working people of all backgrounds. UKIP have previously called for the elimination of virtually all workplace protections, with employees’ rights wholly dependent on the goodwill of the employer. 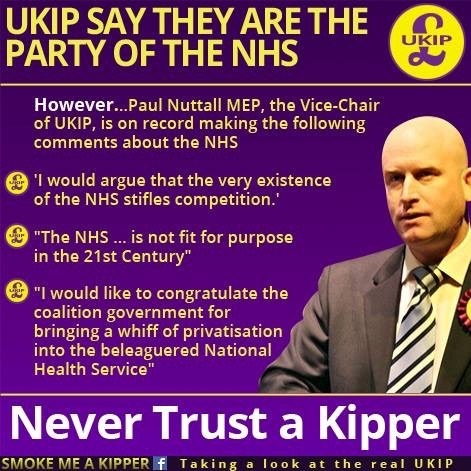 UKIP have also called in the past for the privatisation of schools and hospitals and a flat rate of income tax, policies that would be disastrous for low-paid and working class people. Their success has damaged mainstream politics, leading to more punitive measures against migrant workers, legitimising racist rhetoric and attacks against vulnerable workers. While UKIP preys on economic anxieties, Congress believes that the only real answer to low pay and exploitation is stronger employment rights protections and trade union solidarity. Congress asserts that trade unionists are uniquely positioned to challenge such propaganda. Congress calls on the General Council, affiliated unions and others to continue to campaign vigorously against organisations who have no contribution to make to improving the living standards and quality of life of the millions of people suffering from the impact of austerity cuts imposed by various governments across Europe. Congress is also critical of the UK right-wing media’s obsessively prejudicial coverage of immigration issues characterised by exaggeration, lies and half-truths – including increased pressure on our schools, hospitals and other public services. Congress rejects this analysis and instead recognises the enormous positive contribution generations of migrants have made to the UK economy and society. Indeed, many areas of employment including vital services like the NHS and public transport would suffer greatly were it not for the hard work and commitment of migrant workers. Congress is also concerned about the opportunity for unscrupulous employers to exploit migrant workers as a cheap source of labour to undercut people’s pay and pensions and considers this is the real problem that mainstream politicians need to address. tackling the toxic rhetoric around migration and placing a renewed focus on organising and recruiting migrant workers. 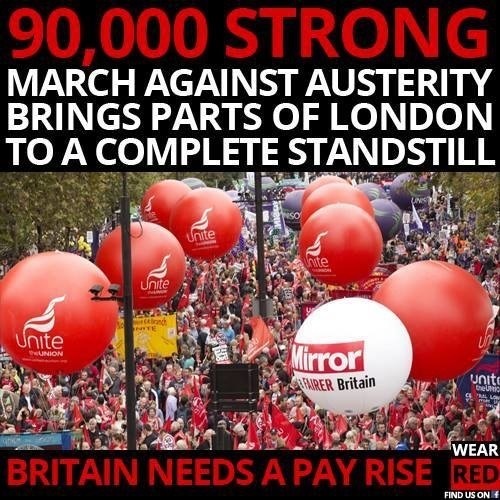 Continue its campaigning work to combat the structural inequalities that lead to poverty, including support for the establishment of the living wage across the economy. 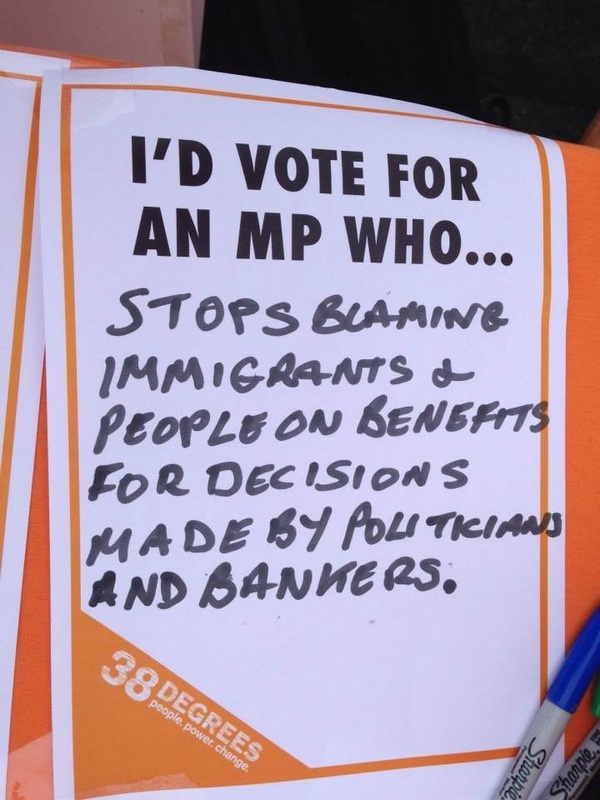 Continue to counter the racist anti immigration propaganda that originates in the overtly racist parties and groups in the UK but which is now being adopted by some of the established mainstream parties. There have been many of us who been campaigning together to protect our NHS for years now. many of us want an decent NHS we can rely on. We want everyone in Britain to have great health care. Whether you’re rich or poor, young or old, wherever you live – we should all get decent treatment whenever we need it. So we need the NHS to be properly funded. And we need it run as a public service that puts patients first – not the profit of private companies. They make a very strong case for why the NHS needs better funding. They explained why the NHS needs billions of pounds more than any of the politicians have promised – and set out grave risks to the quality of our health care if this doesn’t happen. They haven’t ruled out more privatisation. This is worrying, and proves that we need to do more to campaign against privatisation. There are some strange new proposals to investigate like paying doctors extra cash each time they diagnose someone with dementia or paying patients to lose weight. The government clearly sees 38 Degrees as the main organisation fighting to protect the NHS and stop their privatisation plans. That’s a huge responsibility. Scale up our anti-privatization work. We could block more local proposals to privatize hospitals and services. We could launch fresh investigations to expose private companies when they provide bad care. I would strongly all to put every MP, and candidates, under pressure to promise to fund the NHS properly and tell us exactly how they’d pay for it. Some may have witnessed on television or may have been in the public gallery in Parliament or read via press recently at the Prime Minister Questions Time (PMQs) when Ed Miliband put some questions to the Prime Minister regarding the NHS in the reply was about the NHS in Wales. This clearly shows that David Cameron has decided to tackle the greater confidence in Labour over health matters by what I can only describe as attacking the NHS in Wales. There is no doubt whichever way we look at this NHS does needs more levels of funding and I give credit where it’s due during the thirteen years of a Labour government they invested more than any current coalition into the NHS however more can be done. 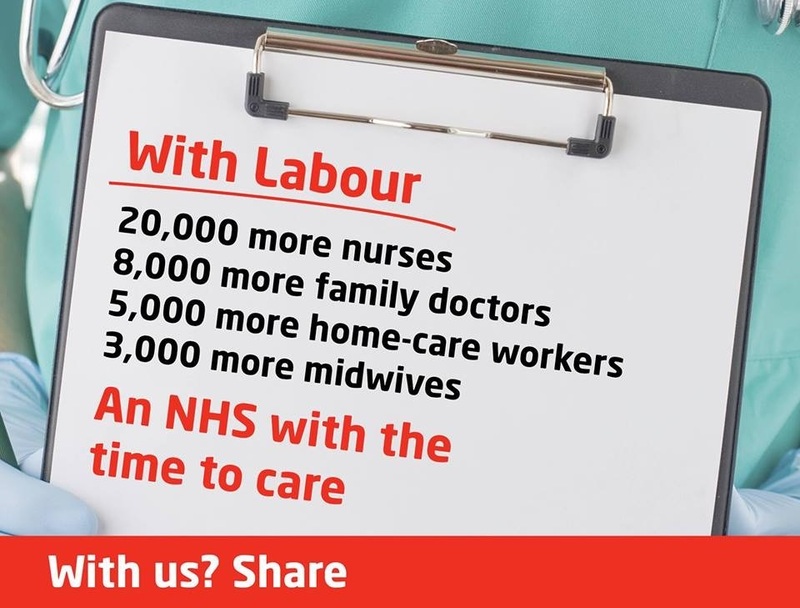 I am sure of one thing I would rather put my trust in Labour when it comes to ensuring that we have the right investments in our NHS which Labour has a very good track record for investment. Intriguingly patients, health professionals, and voters are united in opposition to the internal market and top down re-organisation imposed on the health service in England by the conservative coalition. Let’s not forgot that the Heath budget in Wales is subject to the Barnett formula block grant from Whitehall to Cardiff Bay that short changed Wales by the sum of £300 Million a year and which the Westminster establishment coalition cut by 10% which this coalition conveniently left out in their reply to the opposition leader. If funds were based on need rather than population as Lord Barnett proposed the Welsh government would be better placed to increase NHS spending. David Cameron seems to have forgotten that he has a coalition partner viz Nick Clegg and do seem to imagine it’s the conservative government who is running the country and he is the Prime Minister who speaks for all. 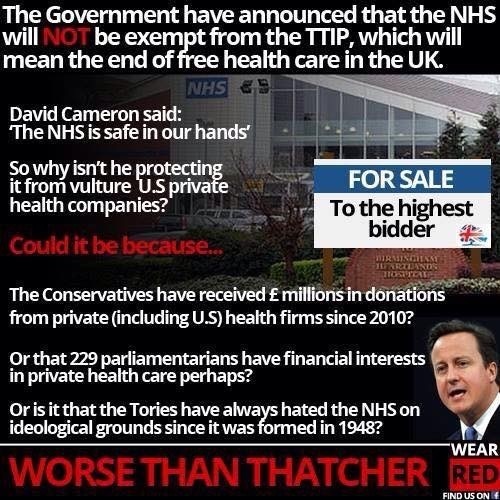 Just after the Scottish referendum David Cameron and other Westminster party leaders welcomed the No vote in Scotland that he is in a position to take a pop at the Welsh patients treated in hospitals in England and vice – versa. I’m sure that David Cameron’s insinuation(s) is that if four times as many residents in Wales this must be true and must represent a choice based on qualitative criteria. Surly he must be aware that countries cannot be compared in population wealth and number of hospitals let alone specialist units which makes up the NHS ie Learning Difficulties, Mental Health, physical disabilities, and dementia and the list goes on. How many people has the feeling that David Cameron will drive a wedge between his party and our NHS and Europe hence it’s little wonder why two of the backbenchers defected to UKIP and some of his MPs who were elected in 2010 are stepping down making way for a more right wing agenda. Its comes as no surprise when Secretary Jeremy Hunt was challenged to end the Tories’ NHS England cash freeze yesterday after he was warned it faces meltdown due to a looming £30 billion-a-year hole. In Westminster Labour shadow minister Andy Burnham pummelled his Tory counterpart at the dispatch box following the release of a five-year blueprint by NHS organisations which warned that “efficiency” savings alone would not be enough. 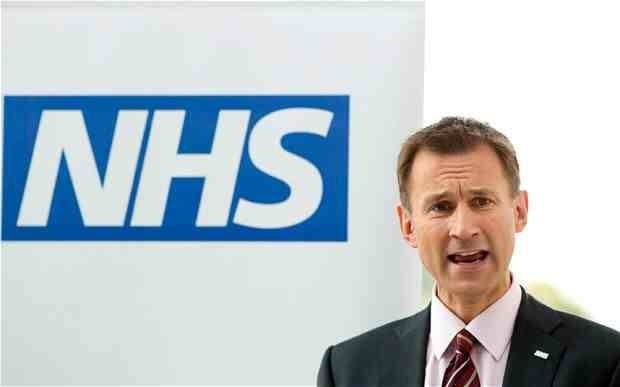 A grinning Mr Hunt labelled the report “essentially positive and optimistic” but brushed off calls to invest more cash. The joint report by six bodies, including watchdogs Monitor and the Care Quality Commission and NHS England itself, speculates that new technology, restructured community services and better public education could make the service “more productive” and reduce a projected £30bn annual funding shortfall. It set out sweeping plans for GP practices to hire hospital doctors, to allow hospitals to provide GP services to plug gaps, to merge the back-office functions of smaller facilities, and to encourage bigger hospitals to open franchises in smaller ones. But even the most optimistic estimates set out in their “forward view” would leave a £16bn-a-year gap if the government continues its planned real-terms budget freeze. And trade union Unite head of health Rachael Maskell said that the real picture would be worse because the plan’s cash-saving goals simply could not be achieved in time. The service is already struggling with existing demands for annual “efficiency” savings that have seen £20bn drained from budgets since 2010, she said. And she warned the NHS plan “will be impossible to deliver in five years if you are talking about a real improvement in health prevention, retraining and realigning the roles of NHS staff, together with integration of health and social care. The NHS blueprint states that continuing current inflation-only budget rises would lead to a massive black hole even if the service succeeded in finding more ways to cut costs. It predicts a £21bn annual shortfall if the current “efficiency” drive to find 0.8 per cent savings a year continued and funding remained in line with inflation. That gap could narrow to £16bn if savings increased to 1.5 per cent a year and the budget remained flat. But NHS England would only meet costs by 2020-21 if a hugely ambitious 2-3 per cent annual cost-saving target totalling £22bn was met and real-terms funding rose by £8bn a year. The Jaws of doom just don’t affect Local Government but it will also affect our NHS under The Transatlantic Trade and Investment Partnership (TTIP) if the Conservatives and UKIP coalition or Conservatives and Fibdems coalition after the general election on 7 May 2015. Nor can I defend or even justify The boss of the NHS in England has defended the privatisation of services as a way of helping patients get treatment but insisted that the health service would continue to do most of the work. Simon Stevens, the chief executive of NHS England, said that “sometimes there will be a case” for a patient needing, for example, a hip operation to use a private provider paid by the NHS and stressed that patients should decide themselves who should treat them. He was responding on BBC Radio 4’s Today programme to questions about the NHS put by its listeners, many of which involved the outsourcing of NHS clinical services. 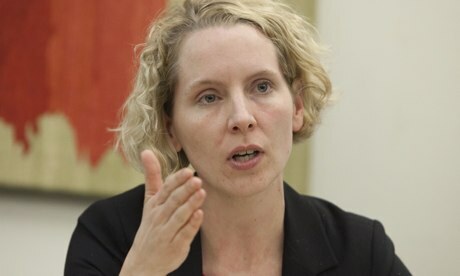 Stevens, an ex-Labour government health adviser under Tony Blair, started in the NHS’s top job on 1 April after 10 years working for UnitedHealth, an American private health firm. 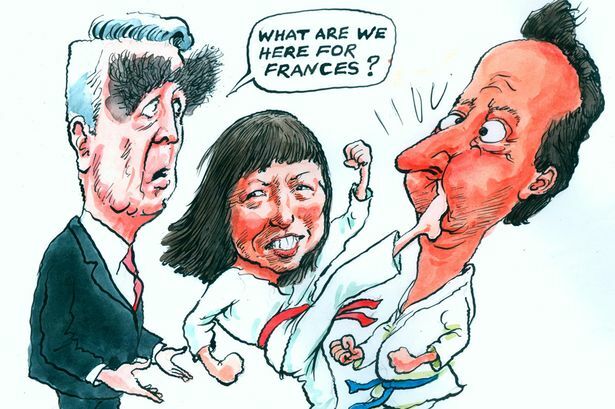 I seem to recall between 1987 -1996 in my former trade union debating the Handover of Hong Kong to China which I recommended to my former trade union Conference for reference back I remember there was a very big split on the debate. I make no apologies for allowing the debate to take place and in one sense I was glad that I had the opportunity to state my case by informing delegates the mover was anti-China as the mover was pro Hong Kong and I was and still am pro-China and I felt that the motion was one-sided and it was by applying the common sense approach which won the day and the motion was put to the vote and reference back won the day. Nobody would have anticipated that this motion caused passionate debates from all sides of the conference and the then president and general secretary got involved which would have not make no difference as the atmosphere was like a us and them at one point as some of the delegates where not engaged with the Chinese political scene as there were on two Chinese members who could really could argue for and against whilst some delegates who thought they knew about the situation but it turned out to be limited with the information as the mover fail to produce the additional information that was required to sway the delegates. Let’s us all not lose focus here for one moment that Hong Kong’s territory was acquired from three separate treaties: the Treaty of Nanking in 1842, the Treaty of Beijing in 1860, and The Convention for the Extension of Hong Kong Territory in 1898, which gave the UK the control of Hong Kong Island, Kowloon (area south of Boundary Street), and the New Territories (area north of Boundary Street and south of the Shenzhen River, and outlying islands), respectively. Although Hong Kong Island and Kowloon had been ceded to the United Kingdom in perpetuity, the control on the New Territories was a 99-year lease. The finite nature of the 99-year lease did not hinder Hong Kong’s development as the New Territories were combined as a part of Hong Kong. By 1997, it was impractical to separate the three territories and only return the New Territories. In addition, with the scarcity of land and natural resources in Hong Kong Island and Kowloon, the New Territories were being developed with large-scale infrastructures and other developments, with the break-even day lying well past 30 June 1997. Thus, the status of the New Territories after the expiry of the 99-year lease became important for Hong Kong’s economic development. 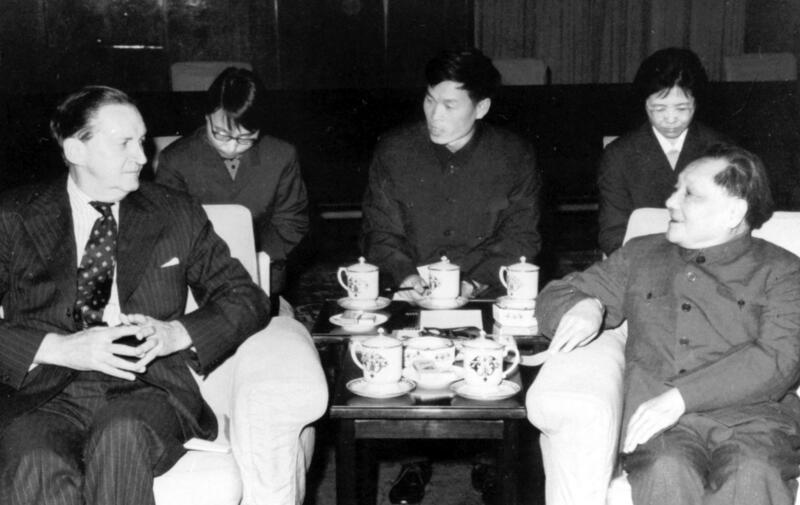 In March 1979, the Governor of Hong Kong Murray MacLehose paid his first official visit to the People’s Republic of China (PRC), taking the initiative to raise the question of Hong Kong’s sovereignty with Deng Xiaoping. Without clarifying and establishing the official position of the PRC government, the arranging of real estate leases and loans agreements in Hong Kong within the next 18 years would be rather difficult. In fact, as early as the mid-1970s, Hong Kong had faced additional risks raising loans for large scale infrastructure projects such as its MTR system and a new airport. Caught unprepared, Deng asserted the necessity of Hong Kong’s return to China, upon which Hong Kong would be given special status by the PRC government. MacLehose’s visit to the PRC raised the curtain on the issue of Hong Kong’s sovereignty: Britain was made very much aware of the PRC’s aspiration to resume sovereignty over Hong Kong and began to make arrangements accordingly to ensure the sustenance of her interests within the territory, as well as initiating the creation of a withdrawal plan in case of emergency. Three years later, Deng received the former British Prime Minister Edward Heath. Heath had been dispatched as the special envoy of Prime Minister Margaret Thatcher to establish an understanding of the PRC’s view with regards to the question of Hong Kong. Throughout their meeting, Deng stated clearly for the first time the PRC’s willingness to settle the sovereignty issue with Britain through formal negotiations. In the same year, Edward Youde, who succeeded MacLehose as the 26th Governor of Hong Kong, led a delegation of five Executive Councillors to London, including Chung Sze-yuen, Lydia Dunn, and Roger Lobo. Chung presented their position on the sovereignty of Hong Kong to Thatcher, encouraging her to take into consideration the interests of the native Hong Kong population in her upcoming visit to China. In light of the increasing openness of the PRC government and economic reforms on the mainland, then-British Prime Minister Margaret Thatcher sought the PRC’s agreement to a continued British presence in the territory. However, the PRC took a contrary position: not only did the PRC wish for the New Territories, on lease until 1997, to be placed under the PRC’s jurisdiction, it also refused to recognise the “unfair and unequal treaties” under which Hong Kong Island and Kowloon had been ceded to Britain in perpetuity. Consequently, the PRC recognised only the British administration in Hong Kong, but not British sovereignty. In the wake of Governor MacLehose’s visit, Britain and the PRC established initial diplomatic contact for further discussions of the Hong Kong question, paving the way for Thatcher’s first visit to the PRC in September 1982. Margaret Thatcher, in discussion with Deng Xiaoping, reiterated the validity of an extension of the lease of Hong Kong territory, particularly in light of binding treaties, including the Treaty of Nanking in 1842, the Convention of Peking in 1856, and the Convention for the Extension of Hong Kong Territory signed in 1890. In response, Deng Xiaoping cited clearly the lack of room for compromise on the question of sovereignty over Hong Kong; the PRC, as the successor of Qing Dynasty and the Republic of China on the mainland, would recover the entirety of the New Territories, Kowloon and Hong Kong Island. During talks with Thatcher, China planned to invade and seize Hong Kong if the negotiations set off unrest in the colony. 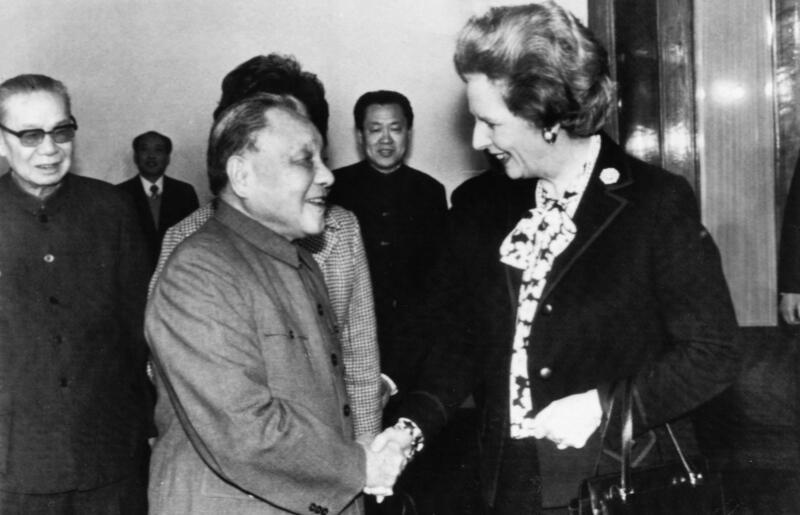 Thatcher later said that Deng told her bluntly that China could easily take Hong Kong by force, stating that “I could walk in and take the whole lot this afternoon”. Thatcher replied that “there is nothing I could do to stop you, but the eyes of the world would now know what China is like”. After her visit with Deng in Beijing, Thatcher was received in Hong Kong as the first British Prime Minister to set foot on the territory whilst in office. At a press conference, Thatcher re-emphasised the validity of the three treaties, asserting the need for countries to respect treaties on universal terms: “treaties ought always to be respected; without such respect, without such necessary trust, it was impossible for any negotiations to take place”. At the same time, at the 5th session of the 5th National People’s Congress, the constitution was amended to include a new clause which stated that the country might establish a special administrative region (SAR) when necessary. The additional clause would hold tremendous significance in settling the question of Hong Kong and later Macau, putting into social consciousness the concept of “One country, two systems“. A few months after Thatcher’s visit to Beijing, the PRC government had still yet to open negotiations with the British government regarding the sovereignty of Hong Kong. Unsure of what to do, Thatcher consulted former U.S. Secretary of State Henry Kissinger, though consultation proved fruitless in the end. Shortly before the initiation of sovereignty talks, Governor Youde declared his intention to represent the population of Hong Kong at the negotiations. This statement sparked a strong response from the PRC, which criticised Britain for “making a three-legged stool” and “playing public-opinion cards” as bargaining chips. At the preliminary stage of the talks, the British government proposed an exchange of sovereignty for administration and the implementation of a British administration post-handover. The PRC government refused, contending that the notions of sovereignty and administration were inseparable, and although it recognised Macau as a “Chinese territory under Portuguese administration”, it also sought the return of that territory. In 1983, Typhoon Ellen ravaged Hong Kong, causing great amounts of damage to both life and property. The Hong Kong dollar plummeted onBlack Saturday, and the Financial Secretary of Hong Kong John Bremridge publicly associated the economic uncertainty with the instability of the political climate. In response, the PRC government condemned Britain through the press for “playing the economic cards” in order to achieve their ends: to intimidate the PRC into conceding to British demands. Governor Youde with nine members of the Hong Kong Executive Council travelled to London to discuss with Prime Minister Thatcher the crisis of confidence – the problem with morale among the people of Hong Kong arising from the ruination of the Sino-British talks. The session concluded with Thatcher’s writing of a letter addressed to the PRC Premier Zhao Ziyang; in it, she expressed Britain’s willingness to explore arrangements optimising the future prospects of Hong Kong while utilising the PRC’s proposals as a foundation. Furthermore, and perhaps most significantly, she expressed Britain’s concession on its position of a continued British presence in the form of an administration post-handover. Two rounds of negotiations were held in October and November. On the sixth round of talks in November, Britain formally conceded its intentions of either maintaining a British administration in Hong Kong or seeking some form of co-administration with the PRC, and showed its sincerity in discussing PRC’s proposal on the 1997 issue. Obstacles were cleared. Simon Keswick, chairman of Jardine Matheson & Co., said they were not pulling out of Hong Kong, but a new holding company would be established in Bermuda instead. He remarked that it was not desirable to “put all of one’s eggs in one basket”. The PRC took this as yet another plot by the British. The Hong Kong government explained that it had been informed about the move only a few days before the announcement. The government would not and could not stop the company from making a business decision. Just as the atmosphere of the talks was becoming cordial, members of the Legislative Council of Hong Kong felt impatient at the long-running secrecy over the progress of Sino-British talks on the Hong Kong issue. 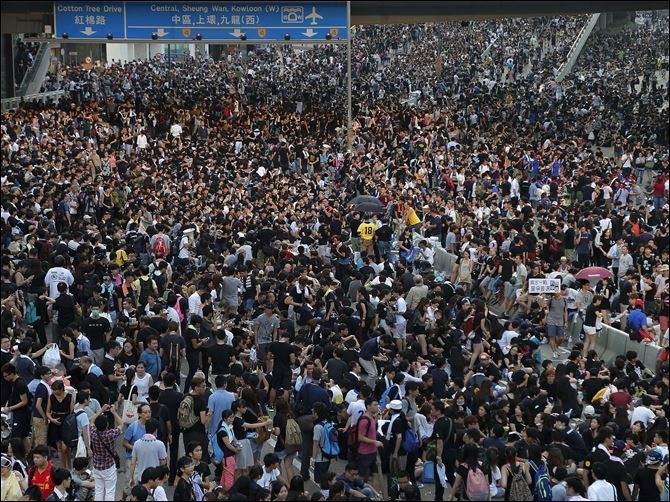 They held that the people of Hong Kong should have the right to know what was being discussed and to speak at the talks. A motion, tabled by legislator Roger Lobo, and declaring, “This Council deems it essential that any proposals for the future of Hong Kong should be debated in this Council before agreement is reached”, was passed unanimously. The PRC attacked the motion furiously, referring to it as “somebody’s attempt to play the three-legged stool trick again”. At length, the PRC and Britain initiated the Joint Declaration on the question of Hong Kong’s future in Beijing. Zhou Nan, the then PRC Deputy Foreign Minister and leader of the negotiation team, and SirRichard Evans, British Ambassador to Beijing and leader of the team, signed respectively on behalf of the two governments. The Sino-British Joint Declaration was signed by the Prime Ministers of the People’s Republic of China and the United Kingdom governments on 19 December 1984 in Beijing. The Declaration entered into force with the exchange of instruments of ratification on 27 May 1985 and was registered by the People’s Republic of China and United Kingdom governments at the United Nations on 12 June 1985. In the Joint Declaration, the People’s Republic of China Government stated that it had decided to resume the exercise of sovereignty over Hong Kong (includingHong Kong Island, Kowloon, and the New Territories) with effect from 1 July 1997 and the United Kingdom Government declared that it would restore Hong Kong to the PRC with effect from 1 July 1997. In the document, the People’s Republic of China Government also declared its basic policies regarding Hong Kong. In accordance with the One Country, Two Systems principle agreed between the United Kingdom and the People’s Republic of China, the socialist system of People’s Republic of China would not be practiced in the Hong Kong Special Administrative Region (HKSAR), and Hong Kong’s previous capitalist system and its way of life would remain unchanged for a period of 50 years. The Joint Declaration provides that these basic policies shall be stipulated in the Hong Kong Basic Law. The ceremony of the signing of the Sino-British Joint Declaration took place at 18:00, 19 December 1984 at the Western Main Chamber of the Great Hall of the People. The Hong Kong and Macao Affairs Office at first proposed a list of 60-80 Hong Kong people to attend the ceremony. The number was finally extended to 101. The list included Hong Kong government officials, members of the Legislative and Executive Councils, chairmen of The Hongkong and Shanghai Banking Corporation and Standard Chartered Bank, Hong Kong celebrities such as Li Ka-shing, Pao Yue-kong and Fok Ying-tung, and also Martin Lee Chu-ming and Szeto Wah The Basic Law was drafted by a Drafting Committee composed of members from both Hong Kong and mainland China. A Basic Law Consultative Committee formed purely by Hong Kong people was established in 1985 to canvas views in Hong Kong on the drafts. The first draft was published in April 1988, followed by a five-month public consultation exercise. The second draft was published in February 1989, and the subsequent consultation period ended in October 1989. The Basic Law was formally promulgated on 4 April 1990 by the NPC, together with the designs for the flag and emblem of the HKSAR. Some members of the Basic Law drafting committee were ousted by Beijing following the 4 June 1989 Tiananmen Square protests, after voicing views supporting the students. The Basic Law was said to be a mini-constitution drafted with the participation of Hong Kong people. The political system had been the most controversial issue in the drafting of the Basic Law. The special issue sun-group adopted the political model put forward by Louis Cha. This “main-stream” proposal was criticised for being too conservative. According to Clauses 158 and 159 of the Basic Law, powers of interpretation and amendment of the Basic Law are vested in the Standing Committee of the National People’s Congress and the National People’s Congress, respectively. Hong Kong’s people have limited influence. Chris Patten became the last governor of Hong Kong. This was regarded as a turning point in Hong Kong’s history. Unlike his predecessors, Patten was not a diplomat, but a career politician and former Member of Parliament. He introduced democratic reforms which pushed PRC-British relations to a standstill and affected the negotiations for a smooth handover. The handover ceremony was held at the new wing of the Hong Kong Convention and Exhibition Centre in Wan Chai on the night of 30 June 1997. The principal British guest was Charles, Prince of Wales who read a farewell speech on behalf of the Queen. The newly elected Prime Minister of the United Kingdom, Tony Blair, the British Foreign Minister Robin Cook, the departing Hong Kong governor Chris Patten and General Sir Charles Guthrie, Chief of the Defence Staff of the United Kingdom, also attended. Representing China were the President of the People’s Republic of China, Jiang Zemin; and Tung Chee-hwa, the first Chief Executive of the Hong Kong Special Administrative Region of thePeople’s Republic of China. This event was broadcast on several television and radio stations across the world. As much I still look toward for China to make the right move by implementing the Sino-British Joint Declaration. I have to raise my strongest object to China for not listening to student protesters after all they are the future leaders of both Hong Kong and China. There is no doubt that the two tier system has allowed foreign investment to flow into the country which China is hoping to show the western world that they are taking the lead in this field where other communist country has failed. After the Tiananmen Square protests of 1989, the Executive Councillors and the Legislative Councillors unexpectedly held an urgent meeting, requesting that British Government give the right of abode in the United Kingdom to the people of Hong Kong. More than 10,000 Hong Kong residents rushed to Central in order to get an application form for residency in the United Kingdom. On the eve of the deadline, over 100,000 lined up overnight for a BN(O) application form. While mass migration did begin well before 1989, the event did lead to the peak migration year in 1992 with 66,000. 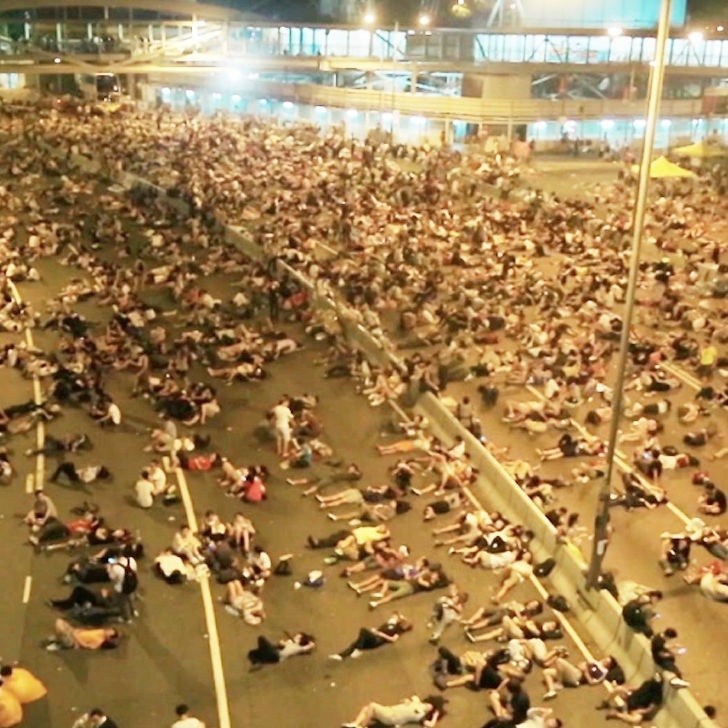 Many citizens were pessimistic towards the future of Hong Kong and the transfer of the region’s sovereignty. A tide of emigration, which was to last for no less than five years, broke out. At its peak, citizenships of such small countries as Cape Verde, Tonga, Gambia and Ecuador were also in great demand. Many consuls were deported for their corrupt behaviour in granting immigration visas. Canada (Vancouver and Toronto), United Kingdom (London, Glasgow, and Manchester), Australia (Sydney and Melbourne), and the United States (San Francisco and New York) were, by and large, the most popular destinations. The United Kingdom devised the British Nationality Selection Scheme, granting 50,000 families British citizenship under the British Nationality Act (Hong Kong) 1990. Vancouver was among the most popular destinations, so much so that Richmond (a suburb of Vancouver) earned the nickname of “Little Hong Kong” and “New Chinatown“, and for the city itself, “HongCouver”. Other popular settlements are found in Auckland, New Zealand and Dublin, Ireland. All in all, from the start of the settlement of the negotiation in 1984 to 1997, nearly 1 million people emigrated; consequently, Hong Kong suffered serious loss of capital. 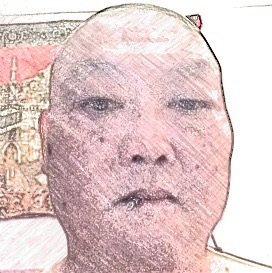 It is for this reason I call on all international Chinese, and The International Communities to lobby their respective governments to ensure that Chinese Government honour’s its agreement to allow Hong Kong Chinese to have its democratic rights to choose who they want to have as their candidates and not be dictated by the Chinese Government to vet the candidates as to not rock the boat. It clearly shows that china has no idea how to deal with this situation and that they are likely to back track on the agreements signed with the British Government. Now who is very Fickle any guesses? How many have noticed in their own community or region of lately that there has been a housing shortage yet successful governments haven’t addressed the increasing population which need a truly affordable and rentable housing. There are many who feels they(parliamentarians) Walk the walk talk the talk? Over the weekend there has been some announcements how the political establishments who will provide or address the housing issue which to me has become more of the same in a nutshell more spin doctoring to see who can outdo each other for which I blame both previous and present governments for not doing enough to build housing at affordable prices. I still say that both present and previous governments give a good talk but they never seem to do the walk when it comes to addressing the housing crisis. unemployed, and for those who may have a spare room in their property. Cameron is attacking the security that we have argued for and won over many years. There could be tenancies that last only five or ten years, if earnings have increased a little, or if a child has left home. What a future. The lack of affordable housing supply is the real problem and it is not our fault. Let’s stop all these attacks on our housing rights. Building more homes– providing environmentally sustainable homes where people need them, creating jobs and kick starting the economy. Giving tenants more power and security – making social landlords more accountable and improving standards and security in the rapidly growing private rented sector. More local control – giving local councils, communities and individuals more power and autonomy to create thriving neighbourhoods in the face of the hugely diverse range of challenges that they face. Home ownership is becoming more and more out of reach for many. Since the withdrawal of Mortgage Interest Relief for residential homeowners, we have seen a dramatic escalation in house prices and a surge in buy-to-let investors in the housing market. Home ownership is falling and the private rental market is growing – spurred on by rent subsidies and the private rental of former council properties acquired under right to buy schemes. Welfare costs for housing support are all the while increasing dramatically, despite welfare caps and under-occupancy restrictions. Government cannot simply legislate for higher wages that may increase unemployment, lower rents that may reduce housing supply or abandon millions of people to the vagaries of the market. So what can be done in addition to the proposals in the Liberal Democrat paper? Firstly, we can focus on increasing wages as a share of GDP by specifically targeting non-inflationary full employment as government policy and driving investment in productivity enhancing infrastructure. Secondly, involuntary unemployment can be reduced with the introduction of a voluntary job guarantee scheme targeted at those currently in need of housing support. Such a scheme would allow for the introduction of a condition of habitual employment as a pre-requisite to eligibility for housing support for the able-bodied. Thirdly, state housing support can be refocused away from rental subsidies and towards capital development, primarily at shared ownership schemes for citizens and long term residents i.e. rent to buy. Combined rental/mortgage payments would be based on a fixed % of annual earnings/income. Equity built-up in the property would be transferable to family members or other eligible participants in the scheme. Fourthly, discounts under the current right to buy scheme can be ended and both new and existing council properties retained in the shared ownership scheme portfolio. Lastly, council tax could be replaced with a national Land Value Tax payable by landlords and owner occupiers on land values over and above a primary residence homestead credit equivalent to the average Band A of council tax. This would aid in both stabilising house and land prices generally and redistributing the burden of council tax more progressively, such that those on very low incomes were better able to afford rents/mortgage payments. Government’s failed top-down, target-led model of imposing development on communities, which has comprehensively failed to meet this goal. Instead, we will move to a more sustainable system that uses radical new freedoms and powerful incentives to enable communities to deliver the new housing they want and need. The Conservative leader said a future government led by him would build 100,000 new homes for such people. They would be built on brownfield land already identified for development and exempt from some taxes, he said. He was speaking as the party prepares for its annual conference this weekend. Conservative politicians and activists will gather in Birmingham from Sunday for what is the final conference before next May’s general election. Unveiling the pledge – an extension of the Help to Buy mortgage scheme – Mr Cameron said the Conservatives wanted more young people to “achieve the dream” of owning their own home. “I want young people who work hard, who do the right thing, to be able to buy a home of their own. So these starter homes will be sold at 20% less than the market value. The starter homes plan would apply only to England, whereas Help to Buy is UK-wide. That scheme entails the government offering a 20% equity loan to buyers of new-build properties. Shadow housing minister Emma Reynolds said Mr Cameron had presided over the lowest level of house building in peacetime since the 1920s. “After four and a half years he now tells us that he is going to deliver for first-time buyers but under his government a record one in four young people are living at home with their parents and young people across the country are priced out of home ownership. Campbell Robb, of homelessness charity Shelter, welcomed the pledge but said it was “absolutely vital” that the homes built were “genuinely affordable for young couples and families on ordinary incomes”. “There’s a real concern that removing the requirement on developers to build affordable housing means this policy may not help those facing the greatest struggle to get a home of their own,” he said. Grainia Long, of the Chartered Institute of Housing, said she welcomed “the focus on supply and affordability” but still had “some serious concerns”. She said: “This smacks of building for one group of people at the expense of another. “Social housing is critical if we are going to solve the housing crisis – there are always going to be people who can’t afford to buy and we must provide decent, affordable homes for them too. Under the new proposals, the homes would be built on brownfield land which was no longer needed for industrial or commercial use. Savings from using such land would be passed on to the buyers, the Conservatives said. Public sector land would also be used to deliver the pledge. The homes would be exempt “from a raft of taxes”, Mr Cameron said, such as the community infrastructure levy and a requirement to build social housing as part of any development. Some building regulations – including the zero carbon homes standard – would also not apply to the new units. The zero carbon homes standard, which applies from 2016, aims to improve energy efficiency. It requires house builders to decrease all carbon emissions from energy arising from fixed heating and lighting, hot water and other fixed building services – such as ventilation – in new homes. I had to laugh when I listen to UKIP talked about their housing policy’s the conference only for Nigel Farage to backtrack on it on it on Sunday the Marr Show. I cannot discover how UKIP feels about letting agent fees or licensing, but after unearthing various manifestos, the subject of immigration certainly makes it mark. Environment, Planning and Housing: Reduce the pressure on housing by ending open-door immigration. Oppose the bedroom tax, but provide incentives to re-use empty homes. Protect our green spaces by directing new housing and business developments to brown-field sites. Stop preferential treatment to special groups such as travellers – rules should apply equally to us all. This chronic shortage of housing is having an impact across the country. Young people and families are struggling to get on the property ladder. Those renting privately are now having to pay record sums, on average 41% of their income just to keep a roof over their heads. It’s also affecting those who want to upsize to a bigger home but are finding they can’t bridge the gap between what they own and where they want to move to. And for those who have just joined a waiting list for a social home, there are 1.7 million families already in the queue. That’s why, last year, Ed Miliband set a target for the next Labour government to build over 200,000 homes a year by 2020. It’s a big ambition. But, Labour is determined to make home ownership a realistic aspiration for the next generation. We know that there is no single solution to tackling the housing shortage. That is why alongside our ambition, Ed Miliband tasked our housing commission, chaired by Sir Michael Lyons, to draw up a roadmap for achieving this step-change in house building. We also want to support more firms to enter into the market and encourage small-scale and self-build so we can make the most of all opportunities to create a thriving housebuilding industry. That is why, earlier this year, alongside Chris Leslie, Labour’s Shadow Chief Secretary, I announced the details of Labour’s Help to Build policy specifically designed to help SME builders. In the Federation of Master Builders’ 2013 House Builder Survey, 60 per cent of members cited access to finance as a major barrier to their ability to increase their output of new homes, more than any other factor. So the next Labour Government will provide government guarantees for banks lending to SME construction firms in a similar way to how the current ‘Help to Buy’ scheme underwrites mortgages. By itself, the private sector has never produced the number of homes we need. Therefore, we are also exploring how we can get councils, together with housing associations, back into the business of building again. Labour councils are already blazing a trail. When it comes to getting affordable homes built they are outbuilding their Tory counterparts by 2 to 1. Given the severity of the shortage, we will need some big scale solutions. New Towns and Garden Cities played an important role in delivering housing in the past. The commission will be looking at how new plans for a new generation of New Towns and Garden Cities can be realised in a way that benefits local communities. By contrast the Tories and Lib Dems can only offer more of the same. Their initiatives to boost house building have consistently failed to deliver. The government recently announced a new Garden City in Ebbsfleet and the building of 15,000 homes, but this is 5,000 fewer homes than those announced for the same place in 2012. Their biggest initiative, Help to Buy, is, it is true, helping to boost demand but here the Government hasn’t understood basic economics. Boosting demand without boosting supply will simply see prices pushed out of reach of aspiring buyers. The next Labour government will succeed where this government has failed. Nobody should be in any doubt about our determination to deliver the reforms we need to double house-building, restore the dream of home ownership and to give families the security of a home they can afford.